Welcome to Mile Run and this 2 bedroom, 2 bath single story end unit featuring a spacious great room with vaulted ceiling and fireplace, an eat-in kitchen and breakfast bar open to the great room and a generous size master suite with a large walk in closet. Plus there's a huge, private screen porch with vinyl windows for year round comfort. This home showcases warm, classy color tones, newer appliances, air conditioning, light fixtures, updated master bath and extra attic insulation. It comes fully equipped with all appliances included! 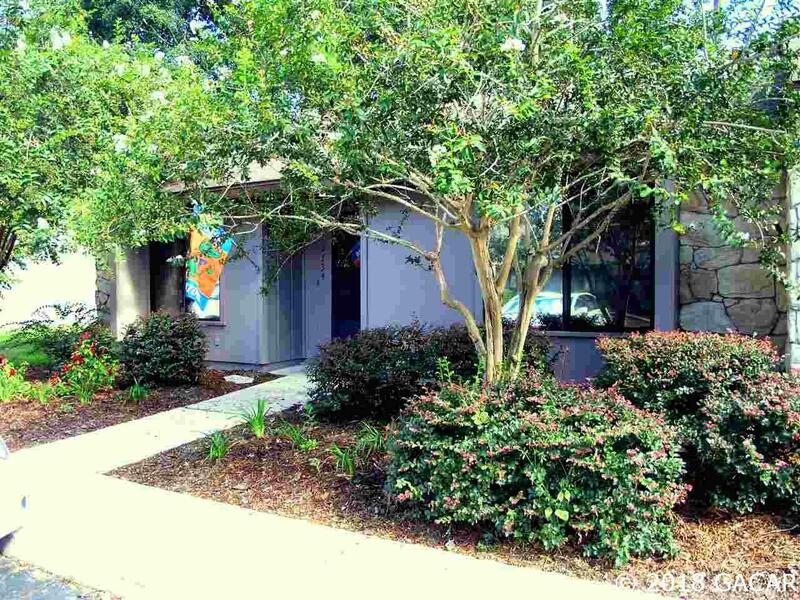 Mile Run is conveniently located and one of Gainesville;s premier maintenance free living communities with a club house, swimming pool and playground.